His innovative thriller, as shocking now as when it was first published, the "Penguin Classics" edition of Robert Louis Stevenson's "The Strange Case of Dr Jekyll and Mr Hyde and Other Tales of Terror" is edited with an introduction by Robert Mighall. Published as a 'shilling shocker', Robert Louis Stevenson's dark psychological fantasy gave birth to the idea of the split personality. The story of respectable Dr Jekyll's strange association with the 'damnable young man' Edward Hyde; the hunt through fog-bound London for a killer; and the final revelation of Hyde's true identity is a chilling exploration of humanity's basest capacity for evil. The other stories in this volume also testify to Stevenson's inventiveness within the Gothic tradition: "Olalla", a tale of vampirism and tainted family blood, and "The Body Snatcher", a gruesome fictionalisation of the exploits of the notorious Burke and Hare. This edition contains a critical introduction by Robert Mighall, which discusses class, criminality and the significance of the story's London setting. It also includes an essay on the scientific contexts of the novel and the development of the idea of the Jekyll-and-Hyde personality. Robert Louis Stevenson (1850-1894) was born in Edinburgh, the son of a prosperous civil engineer. Although he began his career as an essayist and travel writer, the success of "Treasure Island" (1883) and "Kidnapped" (1886) established his reputation as a writer of tales of action and adventure. 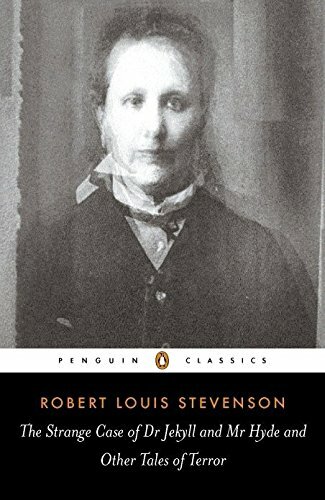 Stevenson's Calvinist upbringing lent him a preoccupation with predestination and a fascination with the presence of evil, themes he explored in "The Strange Case of Dr Jekyll and Mr Hyde" (1886), and "The Master of Ballantrae" (1893). If you enjoyed "The Strange Case of Dr Jekyll and Mr Hyde", you might like "The Private Memoirs and Confessions of a Justified Sinner, by James Hogg", also available in "Penguin Classics". "Every bit as claustrophobic, creepy and chilling as when it first saw the light of day over a century ago". (Ian Rankin).